24 Hour Emergency Locksmith South Lambeth HomeServe Security. We are specialists in UPVC and hardwood door locks and will try and beat any price on a replacement door mechanism, should one be required. You can ask us for a guaranteed price on the phone. We don’t charge by the hour and estimate on the price of the lock. The price that we quote you for your new lock and access is the price you pay. 24 Hour Locksmith services, South Lambeth based locksmiths, and an established 24 hour police recognised locksmith company. We operate with a crew of qualified, trained and professional locksmiths, all with a minimum of 5 years experience. We don’t employ trainees that work on their own. We don’t only cover the South Lambeth area. Our locksmiths cover a large area including London and the South-East, Kent, Sussex and Essex. If you are locked out, lost your keys or have been a victim of a break in, Homeserve Security can get you back on track with a 30 minutes response service, we offer convenience, safety and high security. If you’d like one of our locksmiths to visit you please call our expert team who will be happy to help 24 hours – 7 days a week : Call 020 8393 5249. 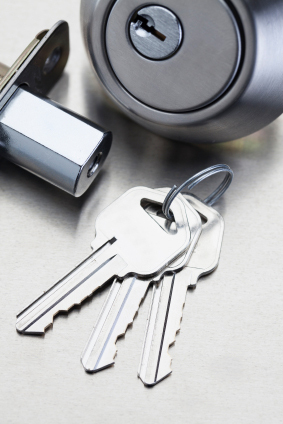 Looking for an Emergency Locksmith South Lambeth? Are you looking to find the services of a competent and highly qualified locksmith? If the answer is yes, then look no further. HomeServe, Emergency Locksmith South Lambeth is a firm that strives to provide the entire South London and Surrey region with high quality locksmith services at the most affordable rates. Our locksmiths are very competent in the field and they have a lot of experience in offering locksmith services. In addition, they are regularly trained to ensure that they are up to date with the recent modern upgrades to the field of locksmith services. In our endeavour to ensure that our clients are as safe as possible, we are keen to ensure that each one of our technicians has a good criminal record hence is least likely to do something that will compromise the security of our client. Our locksmiths are coordinated by a 24 hour emergency response service which ensures that all our clients’ needs are met as soon as possible irrespective of the time of the day or night. This emergency locksmith South Lambeth and response unit is the one that links up our locksmiths to the clients who have an emergency locksmith need. Our locksmiths are located all over London hence as soon as you call us, we will contact the locksmith nearest to your location and in no time they will be fixing the problem that you had. HomeServe Emergency Locksmith South Lambeth technicians employ the use of modern and the most efficient equipment in their work and hence it is possible to work at relatively higher speeds when compared to most of the other locksmith companies. These modern tools make the work more efficient since we are able to produce the same results while incurring lower operation costs. As a result, we are able to offer the service to our clients at very low costs. Your emergency locksmith South Lambeth stock genuine top security locks that will improve the security of your residence. There are many counterfeit locks available today. Our trained personnel do the work of differentiating the counterfeit locks from the genuine locks and all you have to do is just come and ask for the type that you want. If you are not sure of what you want, you can take with you one of our locksmiths who will go with you and inspect to see what is the best security plan for you. For your home, our emergency locksmith South Lambeth will be able to install a safe so that you will have a secure place to place your valuables. In addition, they can install and maintain peepholes, locks on cabinets, doors and other furniture, manage master systems on your house and on your request they can make use of decorative locks to enhance the visual appearance. Our locksmiths are able to set up and maintain top security protection measures and access control systems. They include panic bars, safes, electronic keypads and other keyless entry systems. This together with the round the clock emergency response system ensures that each of our clients is fully protected.